The most popular time to visit New Orleans is the extended weekend before Mardi Gras (February 24- 28). Come then and you’ll be sure to catch the most popular parades, like Endymion, Bacchus, Zulu, Rex and all of the festive celebrations throughout the whole city. Mardi Gras, or “Fat Tuesday,” is the last day of the Carnival season as it always falls the day before Ash Wednesday, the first day of Lent. Most visitors will plan to arrive no later than Saturday, February 25, 2017 in order to enjoy an extended weekend of festivities. 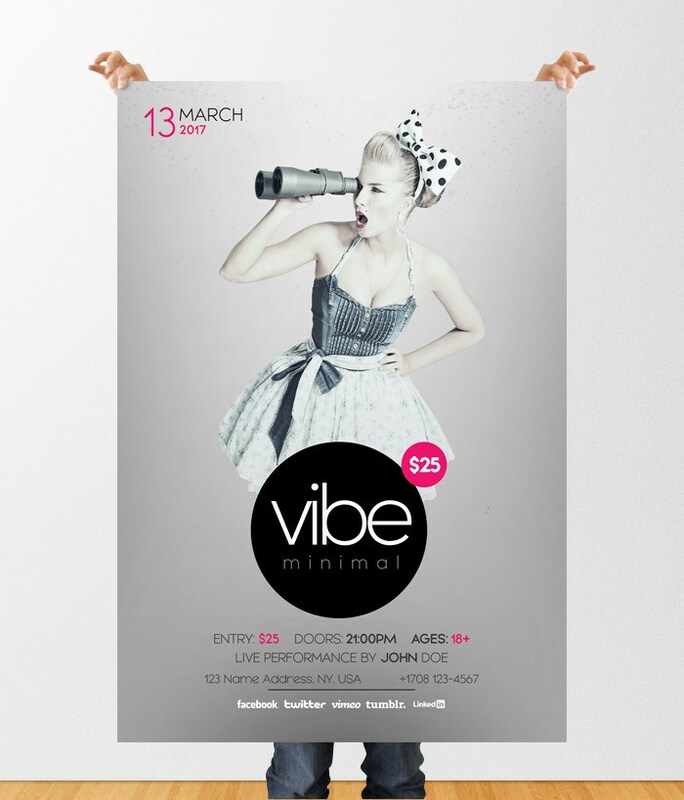 This Flyer is suitable for Any Mardi Gras / Carnival Event or Luxury Party. You can easy add model or replace the Mardi Gras Masks to fit better your own mask or model. PSD Flyer is with alternative colors. To change/edit Mardi Gras psd flyer without any error or trouble it is recommend to have software minimum Photoshop CS4 or higher version. To find the elements and layers is not hard, since everything is organized in groups. Fonts of flyer are made with a Freebie Fonts of Google Fonts and Dafonts. In help file all source links are included for you to download in case you haven’t installed in your computer.